We understand the comprehensions of clients regarding online transactions. There have been many cases of theft or personal, or financial details through online payment gateways, and that’s something each one of us want to avoid. At SBSdigit, it is one of the topmost priority to make things more convenient for our valued clients, because for us a happy client is a good client. To ensure this, we have put in place a highly integrated, and effective order, and delivery system, where customers can easily order or retrieve their orders without having to bother about time delays. Moreover, to ensure safety, and protection of your personal, and financial data, we have invested heavily in diversifying safe payment gateways. Means, you won’t feel locked-in for a single payment option, rather we present you with multiple payment gateways, all safe, and protected thoroughly by industry leading technologies. When you transact with our safe gateway through debit or credit card, you can rest assured of complete reliability and safety of your information. We ensure that you are not charged in any way, without your permission. Payment gateway used by SBSdigit is 100% secure and we ensure you that not a single dollar will be transacted from your account without you being notified of the same. So you can easily, and safely enter your credit/debit card information for an online transaction without any worries. PayPal is one of the most secure and well-encrypted payment gateways out there. 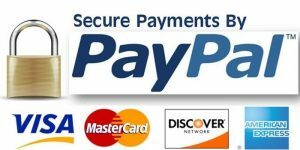 So, if you feel comfortable paying through your PayPal account, we have you covered here as well.